The cherry colored CR1101A-CH Jukebox CD with AM/FM Radio from Crosley Radio is a reproduction of the classic 1947 jukebox. The song chart flips to reveal the turning dial and volume control, while the color shifting LED lights provide a little bit of ambience. 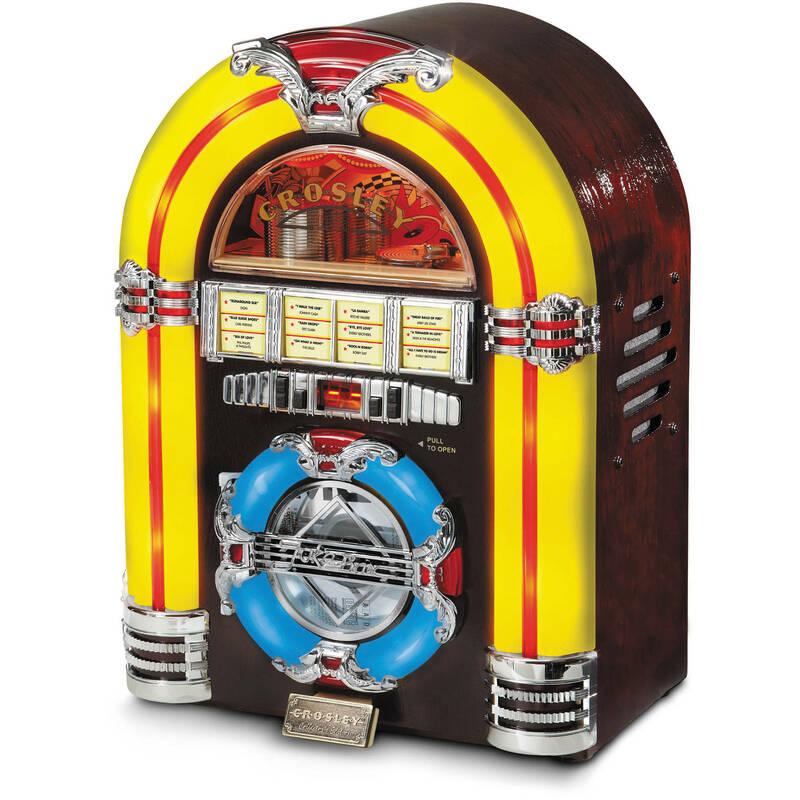 The handcrafted wood and veneer cabinet features a compact disc player, AM/FM radio, and portable audio input for connecting smartphones or other external audio devices. Box Dimensions (LxWxH) 16.8 x 12.6 x 8.8"
Does the jukebox Change colors from yellow to pink, or is there two different colors to chose from ? The lights come on when you turn it on, and change colors automatically. Does this work off batteries? Is it totally portable? This operates on 110-120 V 60 Hz only. It cannot run on batteries; it is not portable.